Over 1,000 were cancelled and 75,000 passengers have been affected by the disruption. Analysts forecast that the episode will cost the airline over £100 million. And this is a dire situation for British Airways, of course. It’s the sixth major crash for its recently installed system in the space of roughly a year, and the timing makes it one of the highest-profile incidents to date. It suggests there’s something flawed with its newer infrastructure, and that there’s no simple fix. It also underscores the importance of reliability for transportation tech. Even a relatively rare crash bug can become a serious headache if it tarnishes an airline’s reputation and results in expensive payouts to angry travelers. Update: British Airways chief Alex Cruz has explained in a video apology (below) that the failure was likely caused by a “power supply issue.” The airline is promising a full refund if you were affected and no longer want to fly (or just can’t), so there’s some consolation here. Still, the explanation makes the situation all the more outlandish: all it took was a power management problem to throw one of the world’s largest airlines (not to mention largest airports) into chaos. 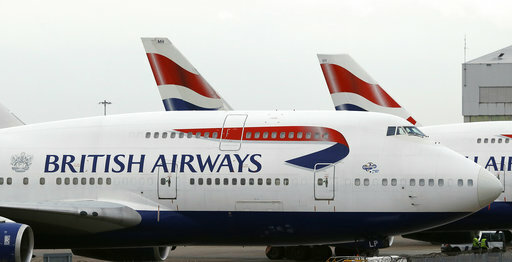 BA chief executive Alex Cruz refused to resign over the matter. “There was a power surge and there was a back up system, which did not work at that particular point in time. It was restored after a few hours in terms of some hardware changes… we will make sure that it doesn’t happen again,” Mr Cruz said.